It’s here, you can now set up recurring donations! that would be created each month without the user having to do it themselves. 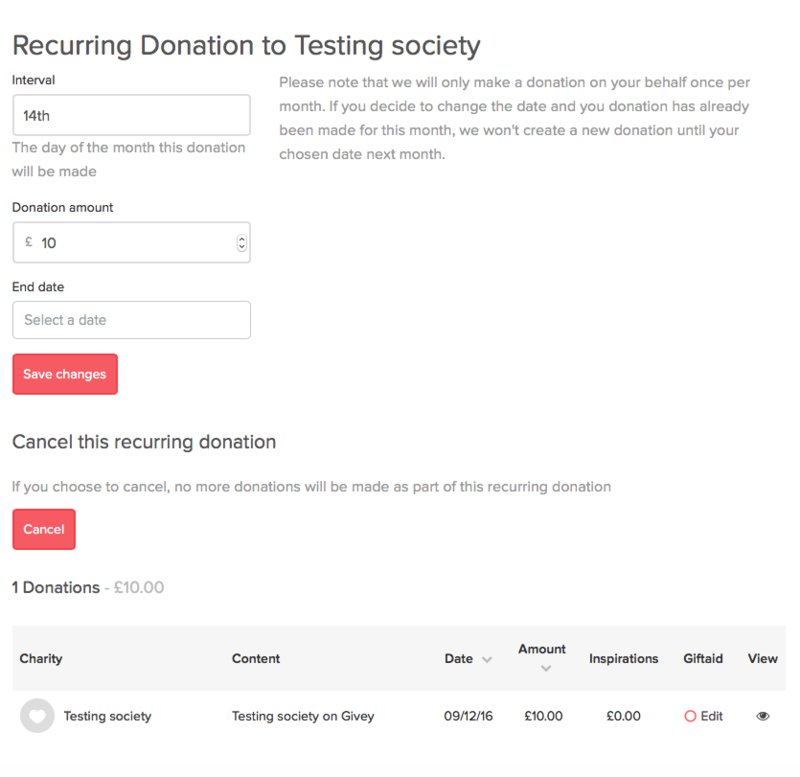 So, when you create a donation, you can now choose if you want it to be recurring. Let’s talk about how you would set this up. to the section where you choose the amount. a new checkbox under the amount. donation will be recurring on your specified day. on the day that you have specified, on the next month. 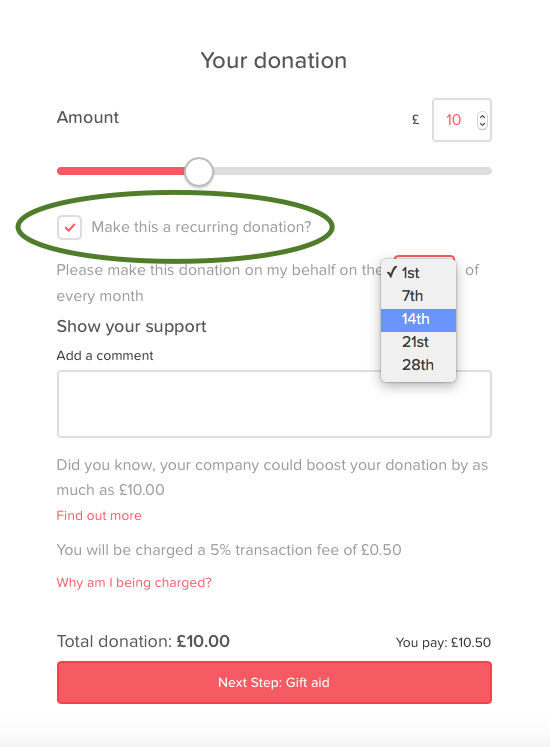 If you wish to specify an ending date for your recurring donation, you can do so via your settings page. From here, you can also change the amount of the donations, as well as the day of the month. will make the next donation on the 7th of the next month, since a donation would already have been made on the 1st.